Aaron Basha can consider himself the King of Hearts with this fabulous charm from the Baby Shoes collection. The red hot enamel pops beautifully against the 18kt white gold baby shoe, and four hearts with sparkling diamonds adorn the toe of the shoe. A diamond studded strap brings even more luxury to this lovely piece. 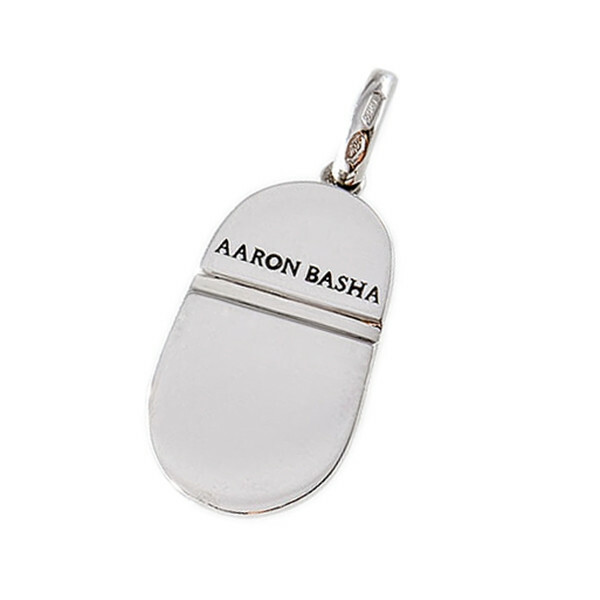 This heartfelt charm from Aaron Basha is the perfect memento for an amazing mom or mom-to-be.